SyncDog’s SentinelSecure™ mobile workspace for enterprise productivity applications such as Gmail, Office Suite, SharePoint, DropBox, local/enterprise instant messaging, Internet/Intranet browser and including email support for Microsoft Exchange, Office 365, and Novell GroupWise, holds full day-one compatibility the newly launched iOS 10. SyncDog, Inc., the leading ISV for mobile application containerization, today announced its secure containerized application workspace for mobile devices and tablets supports the new Apple iOS 10 platform, released today. The iOS 10 launch comes just days before the new iPhone 7 and iPhone 7 Plus devices ship to customers. In terms of iOS 10 compatibility, the new Apple operating system works with iPhone 5, iPad 3 and iPod touch 6th generation or higher. SyncDog’s announcement for support for iOS 10 comes on the heels of announcing the general availability of its flagship mobile app container SentinelSecure™ version 2.5, at CTIA Mobility Week in Las Vegas last week. SentinelSecure™ version 2.5 features a host of security enhancements including FIPS 140-2 certification, additional applications added to the secure mobile workspace, certified integration with MobileIron MDM (Mobile Device Management), and other Enterprise Mobility Management (EMM) providers. NIST (National Institute of Standards and Technology) has certified that SyncDog’s encryption engine within the container meets Federal Information Processing Standards or FIPS 140-2 requirements (Cert. #2687). In a remarkable seven-week certification window, SyncDog worked closely with technology partner SafeLogic, using SafeLogic’s CryptoComply™ drop-in FIPS 140-2 compliance module to reach the FIPS milestone. Based in Palo Alto, California, SafeLogic provides innovative encryption products for applications in mobile, server, appliance, wearable, and other constrained environments. For more information on SafeLogic, please visit www.safelogic.com. For its customers looking to upgrade to iOS 10, Apple suggests checking on its website for a list of compatible devices. Additionally, Apple advised customers to back up their devices before the update. Customers will need to enter their passcodes before updating and will need their Apple IDs for connecting to the App Store, Apple Music and iCloud. iOS 10 offers an impressive list of new features for end users and developers which can be found here. 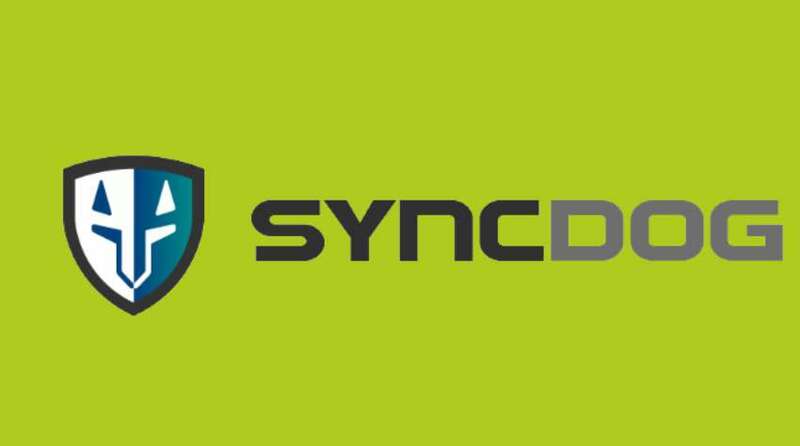 SyncDog is the leading independent software vendor (ISV) for building secure infrastructure frameworks that protect enterprise networks from cyber breach from mobile computing sources. The SentinelSecure™ product line for application containerization and IoT (Internet of Things) module monitoring provides the industry’s most proactive approach to securing enterprise mobility computing. The SentinelSecure™ data security solution delivers defense-grade (FIPS 140-2*, AES 256-bit) secure mobile device partitions or “containers” that can secure emails/contacts, calendar items, IM apps, Internet browsers, mobile file stores and other business apps provisioned on personal devices to be used in a BYOD or COPE (corporate owned personally enabled) setting.